Comfort pen and pencil kits are also based around 7mm tubes. They have a wider centre band and a silicone comfort grip. These can be made with or without the comfort grip. 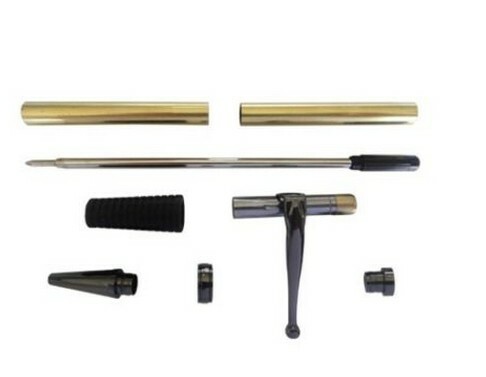 These kits are available with satin, black enamel, 24k gold, platinum and black TN finishes.The elegant look and smooth mechanism on these Executive pen kits will make them one of your most popular pens. In addition, the single tube and straight-cut styling make these pen kits quick and easy to turn.